The new year brought with it unfortunate news from the Ashtanga Yoga Shala (1489 Birmingham Street). Owner and instructor Seth Daley sent members a heavy-hearted email announcing that his studio would be refunding memberships and closing at the end of January, citing it had seen a decline over the past two years. “It’s such a hard industry to gauge. My gut says rather than an over-saturation of studios, it's over-saturation of teachers. In a way it's good, we can potentially return to really small yoga classes, the way it was before the mega-studio became a phenomenon. But are there enough students to maintain the downtown yoga studios? We went a different way at The Shala, with smaller numbers and incredibly trained teachers. And there wasn’t a student body to support that," says Daley, adding that studios in Montreal are seeing a similar problem. "The cost of running the business is more than they can pull in from students." 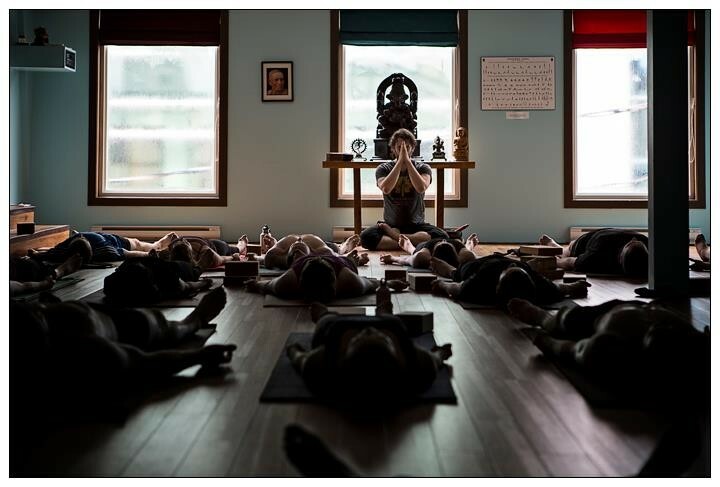 After teaching in Halifax for 11 years, he’ll take a break before returning to another studio or exploring therapeutic yoga, and he says The Shala staff will keep its members posted on where other instructors relocate. The final class at the studio will take place Friday, January 31 at 6:15pm (which is, strangely enough, also its fourth anniversary) and will be lead by both Daley, and senior instructor Angie Birt.